From November 1, 2018, we will check the amount of BxC from the user’s ETH wallet bound and verified to the account everyday and send 1 BCode to those who hold more than 10,000 BxC in the ETH wallet. We will verify the amount of BxC from users’ accounts who have completed the Step 1 and hold more than 10,000 BxC at 12:00 p.m. of Beijing Time (4:00 a.m. UTC Time). The eligible users will have the opportunity of lucky draw for BCode, and we will send the BCode directly to the lucky ones. During the first week of the activity (from November 1 to 7, 2018), the accounts eligible can get 1 BCode directly everyday. From November 8, 2018, users will get BCode via lucky draw. 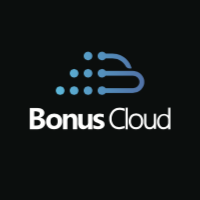 Note: The final explanation right of this activity is reserved by BonusCloud.